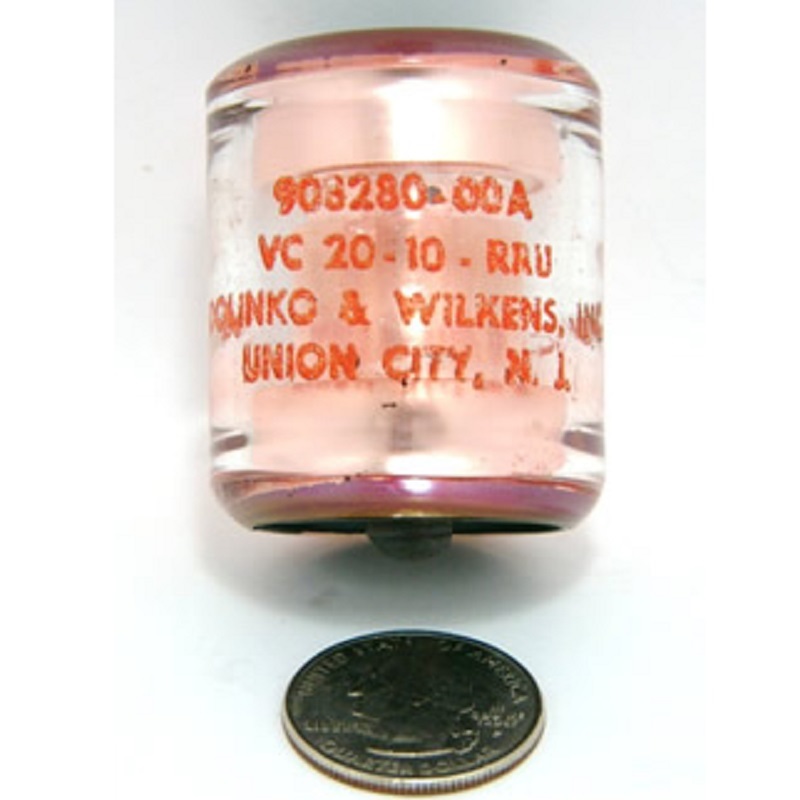 20 pf, 10 KV Peak, Dolinko & Wilkens VC-20-10-RRU - Max-Gain Systems, Inc. The capacitor is a Glass, FIXED capacitance, vacuum capacitor. 20 pf capacitance rated at 10 KV peak voltage. These units are removed from equipment, checked, and guaranteed.